Once again, we will partner with Refresh Concepts to bring you another unique and exciting nightlife experience, Legacy! 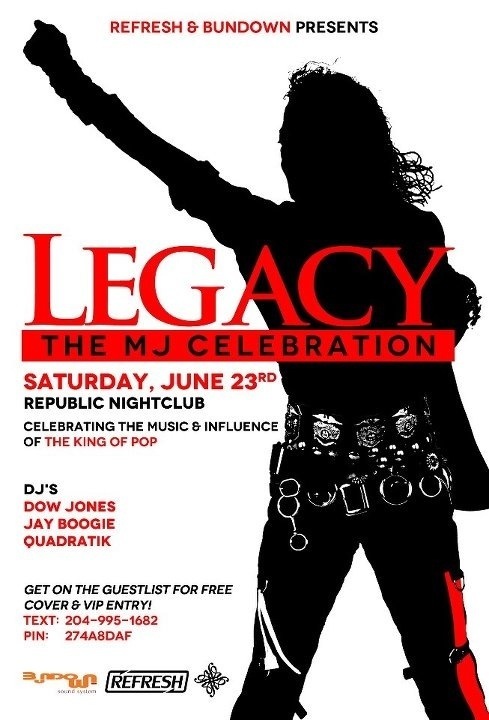 We will be celebrating the music and influence of Michael Joseph Jackson. The term, King of Pop, only surfaced during the latter part of his career, but it was during this time that his shine could not be tarnished. On June 25, 2009, we lost MJ.